Celebrate Valentine’s Day at Char Restaurant! 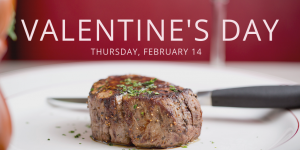 Treat your Valentine to lunch or dinner at Char! Our full menu will be available all day long on February 14th, plus dinner specials created by Chef Derek George from 4-10pm. Limited reservations are available by calling us at 601.956.9562, or online here.